To Seduce a Stranger is a Maggie winner! I'm thrilled to announce that To Seduce a Stranger is a Maggie Award for Excellence WINNER in the historical romance category! Many thanks to the judges and the Georgia Romance Writers for this honor! I'm thrilled and honored to announce that To Seduce a Stranger is a finalist in the historical romance category of the Published Maggie Awards for Excellence, given by Georgia Romance Writers! ​The winners will be announced October 6. Readers are loving The Companion's Secret! ​Do you have your copy yet? I'm honored to share that USA Today Happy Ever After reviewer Kathy Altman calls To Seduce a Stranger a "must-read historical romance"! "With an intricate yet lively plot played out by utterly compelling characters, a treasure trove of angst nicely offset by a blithe wit and a steady, steamy sexual tension, this Georgian England romance is certain to satisfy your historical sweet tooth." Read the full review here. Want to read the rest? Join me over at Goodreads! Read Kathy Altman's amazing review of To Kiss a Thief for USA Today's Happy Ever After here. 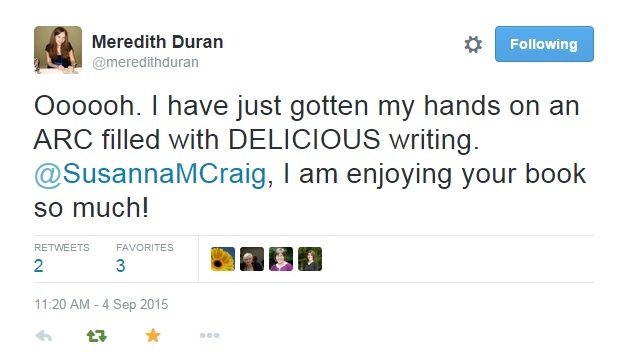 The one and only, RITA award-winning Meredith Duran called my writing "delicious"! I may never recover! More information about my three-book deal will be coming soon, but for now, you can see the announcement here, and look for To Kiss a Thief in August 2016!